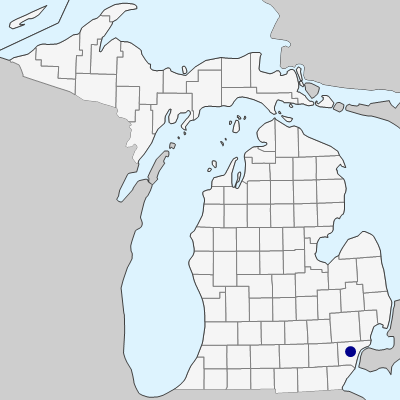 Rich floodplain forests; first collected in Michigan along the Rouge River in Wayne Co. by W. W. Brodovich in 2004. 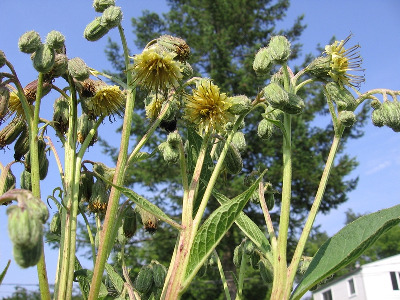 This species forms large colonies of distinctive vegetative rosettes of large broadly triangular to hastate leaves with winged petioles that disappear by early summer, but only occasionally produces its characteristic very tall flowering stems. It may be overlooked in other suitable sites in southern Michigan. MICHIGAN FLORA ONLINE. A. A. Reznicek, E. G. Voss, & B. S. Walters. February 2011. University of Michigan. Web. April 24, 2019. https://michiganflora.net/species.aspx?id=428.